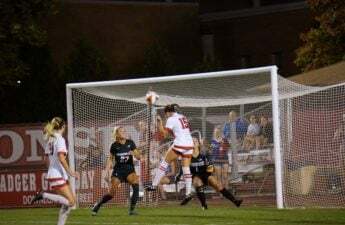 The University of Wisconsin women’s soccer team has began their season on a hot 8-3-1 start and this has been largely due to the efforts of emerging sophomore star forward Dani Rhodes. Rhodes has been a massive part of the Badgers offense and has kept the Badgers in almost every game with her goal scoring abilities. She has already racked up an impressive nine goals this season, which makes her tied for 22nd in the entire NCAA and 3rd in the Big Ten. Her eight goals is already double the total that she had last year, and she still has at least six games remaining in Big Ten Conference play. She has completely lived up to her selection as a Preseason All-Big Ten Conference forward. This is not very surprising, considering she was selected as a member of the 2016 Big Ten All-Freshmen team last season and prior to that, she was named the 2015-16 Wisconsin Girls Soccer Gatorade Player of the Year. In addition to her success as as soccer star in high school, Rhodes also had significant success as a basketball player, as she was an honoree for the Wisconsin Girls Gatorade Player of the Year in basketball. This well rounded athleticism is crucial for the success that Rhodes is able to play today. She knows how to play aggressive and smart at the same time, and her multiple sport backgrounds in high school surely have played a major role in her playing abilities today. Not only was she one of the state of Wisconsin’s highest recruits, she was considered one of the top prep soccer players in the entire country. She has done nothing but live up to the hype, as she is already the top goal scorer on a team that is ranked in the top 25. Rhodes has been completely essential to the Badgers successful start to this season. 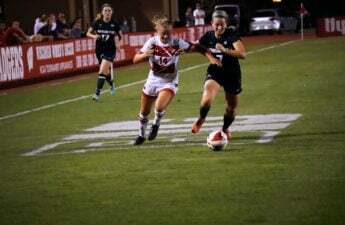 The Badgers had to replace a lot of offensive firepower this season due to the losses of seniors Micaela Powers and Rose Lavelle to graduation, and Rhodes has done just that. 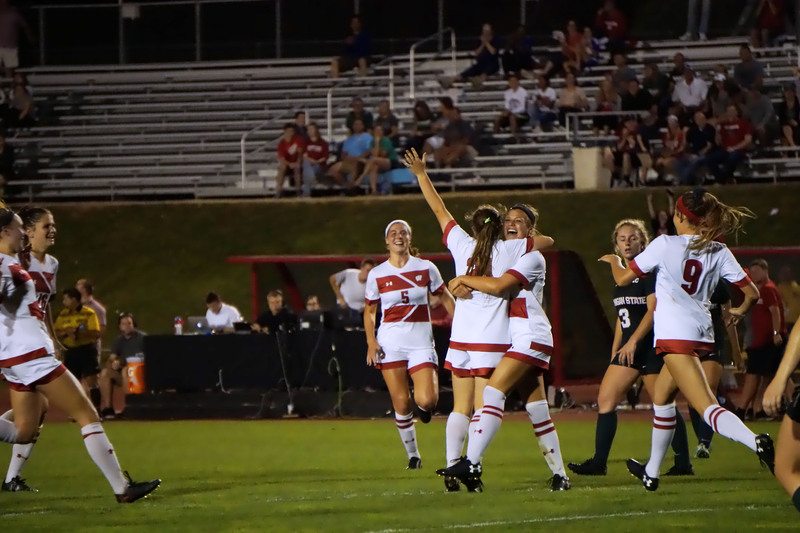 Her efforts have fueled the Badgers by scoring a goal in a 1-0 victory over the No. 3 Virginia Cavaliers, a goal and an assist in a 3-1 victory over William & Mary, a goal in a 1-0 win over the Minnesota Gophers, two assists in a win over the Michigan State Spartans and two goals in a tie in a recent game against the Maryland Terrapins. Although the Badgers’ defensive performances have been incredibly solid thanks to the contributions of Caitlyn Clem and the rest of the Badger defense, Rhodes is still the main reason that Badgers have gotten off to such a strong start. Following their 5-0 loss to then No. 2 overall Stanford Cardinals Aug. 20, the Badgers promptly responded with seven straight victories and Rhodes made many of those happen. It is incredible how she is able to carry an offense despite being only a sophomore. She already has more goals than either of the senior leading scorers from last season. If she keeps this development up, she will not only be the face of the Wisconsin Badgers and the Big Ten Conference, but possibly the entire NCAA Women’s Soccer league. With her talent and work ethic, she has a chance to be an All-American as early as next year. 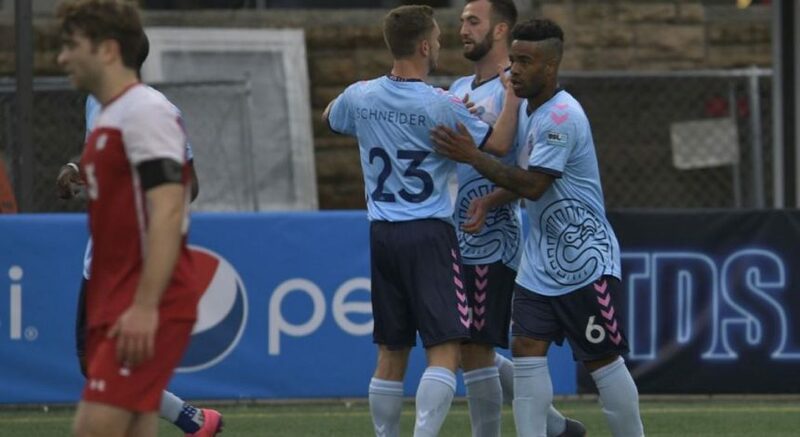 This is huge for an up-and-coming Wisconsin Badger soccer program that has a chance to be a contender in the Big Ten for years to come. Rhodes look to continue her offensive dominance Friday evening against the Purdue Boilermakers in the Badgers return to Madison. With as much success as she has been having this season, it is clear that Rhodes will be one of the lead scorers in the Big Ten, if not the nation. The Badgers will look to Rhodes to help get their season and win streak back on track in the final three Big Ten regular season games before the Big Ten postseason tournament begins. If Rhodes and the Badgers end the season as hot as they were during their seven game winning streak, they have a chance to win the Big Ten Conference Tournament and possible even make a deep run in the NCAA tournament as well.